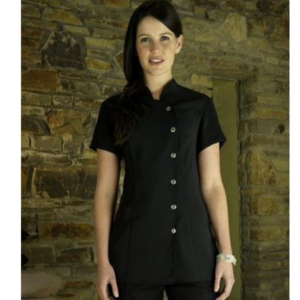 Contemporary crossover Tunic with three crystal buttons and shaped pocket. satin piping on neckline and sleeve. In soft feel polyester fabric.